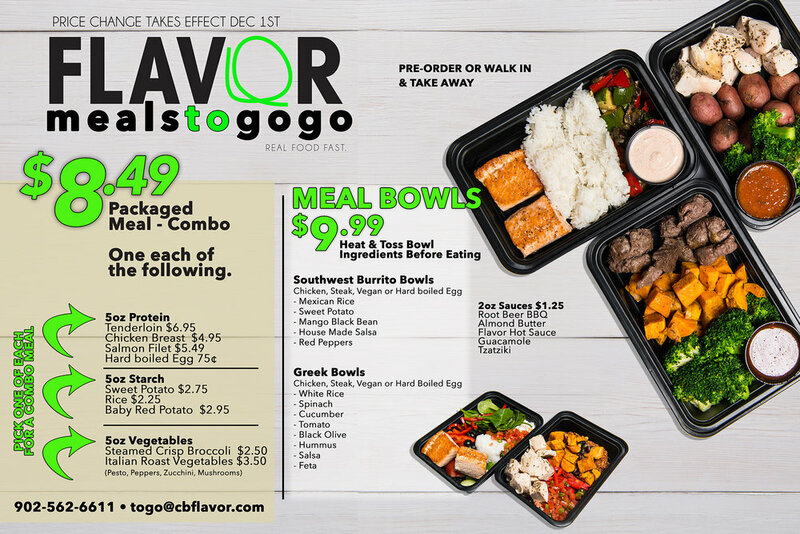 Flavor Meals To Go Go — Flavor Creative Catering Ltd. Starting December 1st, we have a new pricing structure and a few changes to our Flavor Meals To Go Go! See below! Christmas Advent Calendar & Blog.